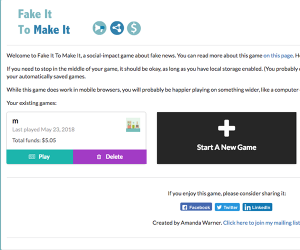 Fake It To Make It is an interesting type of news game. The goal is to produce a successful fake news site by copying and writing fake articles that have a certain score of believability and drama. 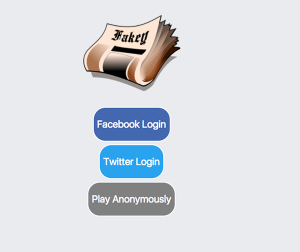 Players plant the article into a group that then share the post to generate revenue. 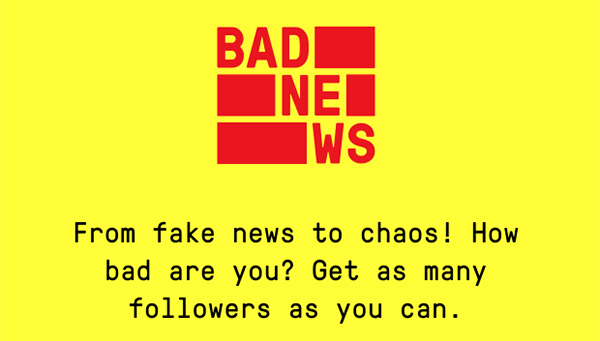 The aim seems to be to let people see how easily fake news spreads, although I would say that it can be confusing since the actual actions in the game are adding to the spread of fake news. It is also a very long game; I haven’t been able to finish. 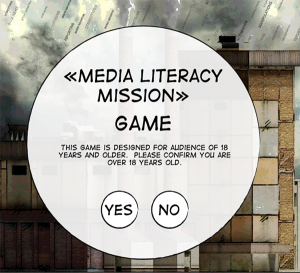 At the start of the Media Literacy Mission, the player is tasked with fighting propaganda, fake news and misinformation with a set number of tools to help inside a backpack. 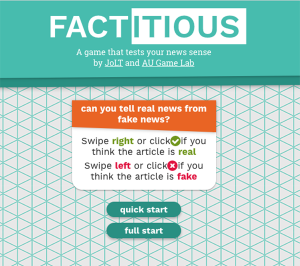 The first “mini-game” has users match the definitions of fake news terminology, which are used throughout the game. It seems like a smart way to impart some prior knowledge that players might not have already had. After unlocking the door to the “Fake News Factory,” players are tasked with walking around three floors to destroy anything that is not factual and credible news. In the first room, the player watches a piece of news and answers follow-up questions to determine if it is actual information or propaganda, so the player can destroy the video disc with the propaganda. 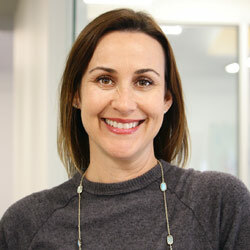 Asking the questions makes the player actually evaluate the information they are being presented with rather than simply guessing one option or another. Players can utilize tools, such as the Logic-o-meter, to help evaluate each piece of information in the different rooms. The game does a good job of actually providing information on concepts like propaganda and advertorials, along with some type of “test” for the player to evaluate what the right answer would be. 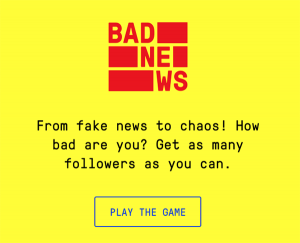 Finally, players determine the news that needs to be included in the feed for the day, thinking about timeliness, proximity and all the other factors that add to the newsworthiness of a piece.